Ethel Hennesy identified the woman to Jean Kearns as Heloise McGuirt. She conjectured she is perhaps shown with Little Jewel, son of Jewel Hennesy and his first wife Heloise McGuirt Hennesy. Jewel Jr. was born abt 1930 in Washington Parish, Louisiana. The photo is perhaps from about 1931-1932. Only 15 years before women were wearing long skirts with their hair religiously bound up in buns. Now we have skirts up to the knees and clothing tremendously relaxed. However, the cloche hats, T-strap shoes, dress shapes and the coat remind me more of clothing circa 1928-29 which leads me to wonder, as Heloise is with Fannie Lang Smith, if the child is instead Fannie’s, Betty Jean Smith, who was born abt. 1927, placing this image about 1928. 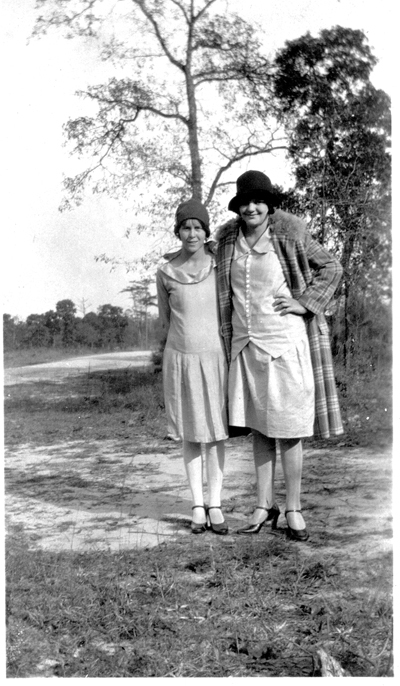 It seems more in keeping with the tag end of the 20s, and Heloise and Fannie look as if they’re sporting their Sunday (or Saturday night) dolled up best for the camera. Frances Fannie Lang Smith and Heloise McGuirt. Ethel Hennesy told Jean Kearns that the woman with Heloise McGuirt was Fannie Lang. 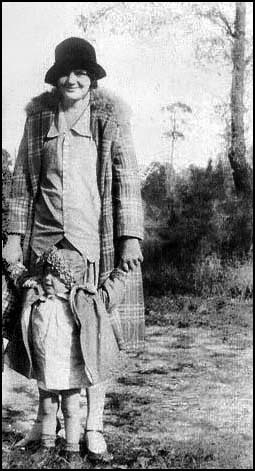 Fannie Lang was the daughter of Albert Winston Lang and Narcissus Simmons. Narcissus was a daughter of Robert Reuben Simmons and Frances Smith Simmons. 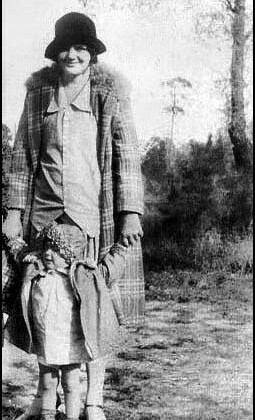 Fannie was born abt 1906 Feb.